Windows Live Writer is one of the best article publishing platform available and most of the bloggers uses this platform for writing posts and pages. We have already discussed about the use of plugins in Windows live writer. Today we will look at the backup utility for windows live writer. 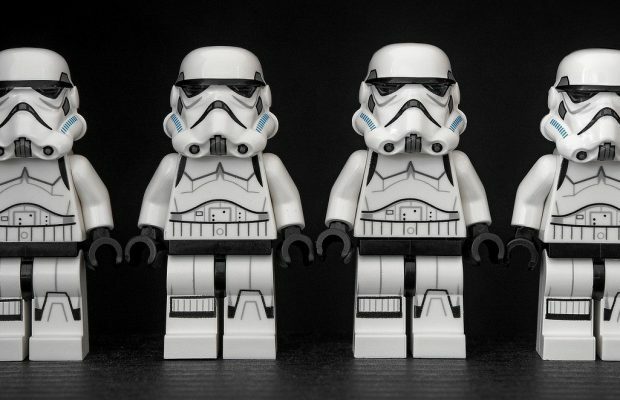 When you are posting thousands of articles on your blog using Windows Live Writer (WLW) then you take backup of your recent posts, drafts, plugins etc so that when you transfer Live Writer from one computer to another or format the current one, you can restore the older drafts and posts including plugins. If you publish posts thru Windows Live Writer then you know how comfortable it is to edit and re-published the saved articles. Windows Live Writer plugin is for taking the backup of windows live writer on your computer and then you can restore that backup on other computer or the same. It is very easy to install this plugin. We call it plugin but it works separately from Windows Live Writer. Once you will install it on your computer, it will appear in “All programs” section under Start menu. Click on that and then choose the action you want on this plugin. It stores the backup file as .wlwbackup format and you can restore it later. Important Note: There is some privilege issue with Windows Vista for this plugin. 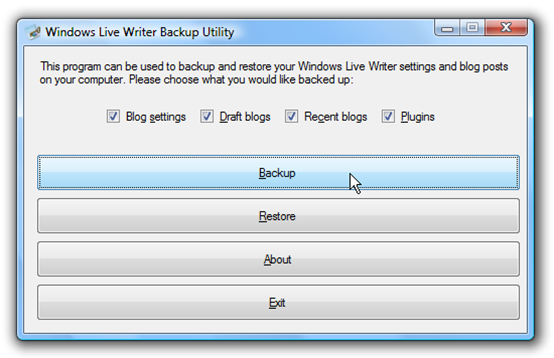 So If you are using Windows Vista then download the portable version of live writer backup plugin which is in zipped format. Extract the zipped file in a folder, you will get an .exe file and a .dll file. Execute the .exe file as “Run as Administrator” option by right clicking on the .exe file. Now you can see the options to take backup and restore. Go ahead and complete the backup or restore process. All the best.